If you purchased a copy of EA and DICE’s Battlefield 3 last October, then you shouldn’t be too surprised to hear that a sequel to the 2010 Medal of Honor is on the way. Inside the packaging of Battlefield 3 was a promotional image that featured a devilishly grinning face, as well as the Medal of Honor url, but nothing else. The sequel was actually confirmed over a year ago after the 2010 version sold over 5 million copies in its first 2 months alone, but we really haven’t heard too much beyond that. Then earlier this week, invites went out for an event on March 6 at GDC, featuring an unnamed game to be published by EA, and to be developed by Danger Close and DICE, the same team that brought us the last MoH game. It wasn’t officially confirmed, but it seemed like a logic conclusion. Then sure enough, earlier today EA confirmed what we suspected, and even gave the game a subtitle. So from henceforth, the new game shall be known as Medal of Honor: Warfighter. The phrase “Warfighter” really doesn’t give us much to go on. It is a fairly common term in some circles, used as a nickname for soldiers. The image suggests that the game will remain in the current day setting rather than returning to the sereies’ World War II roots, but beyond that we’re in the dark. 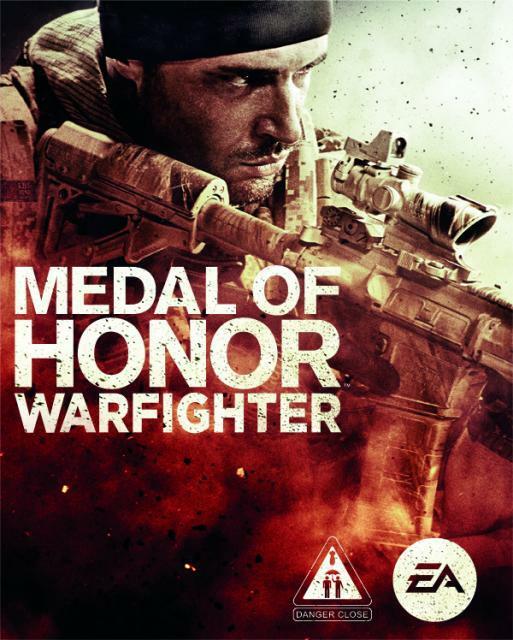 EA has yet to confirm a release date, but October seems like a logical date for at least two reasons: first, the last Medal of Honor was released on October 12, 2010, but the second, and possibly far more important reason, is that EA can now compete directly with Activision’s annual Call of Duty releases. If this current trend continues (which is still a big if, and completely based on guesswork), then EA could conceivably release a new Medal of Honor on even years, and a new Battlefield on the odd years. That would put Danger Close’s Medal of Honor series head-to-head with Treyarch’s Call of Duty titles, while DICE’s Battlefield would go up against Infinity Ward’s Call of Duty. While the Medal of Honor and the Battlefield franchises are different in many ways, they also share many similarities, and will (presumably) use the same engine—DICE’s Frostbite 2.0. If EA also sticks with the October release window, that would give it a few weeks advantage over Activision’s traditional November release. So maybe we can expect Battlefield 4, or Battlefield: Bad Company 3 next October? That is all just speculation for now though, and beyond the title, we really don’t know much about Medal of Honor: Warfighter. Hopefully, that will change on March 6, when the game is unveiled at GDC.